There’s no time like having no time. 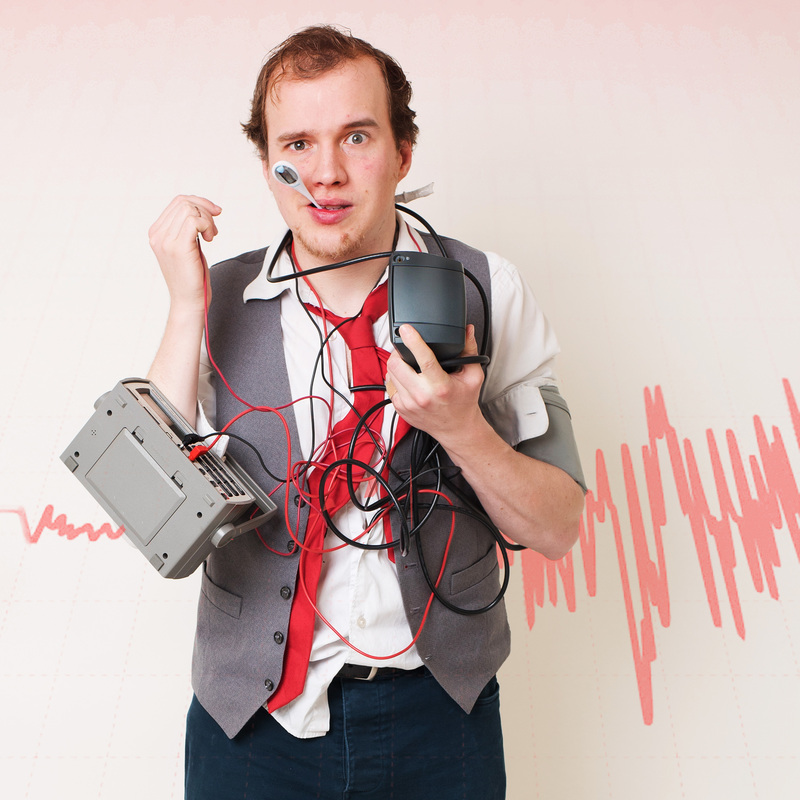 5) Opened The Most Honest Man In The World in an extended 75 minute edition as part of the Toronto Fringe Festival. Phew. Six more performances here in Toronto to go, as well as preparations for William vs The World in less than a month’s time in Saskatoon, plus more fringe stops in Nanaimo, Victoria, and Vancouver, as well as another TITUS draft sometime in the next couple of weeks. Now to go handbill some more lines. Wish me luck! What do YOU think? Come check out the show at Studio 16 on the times in the poster below, join the tea party, and then let me know! 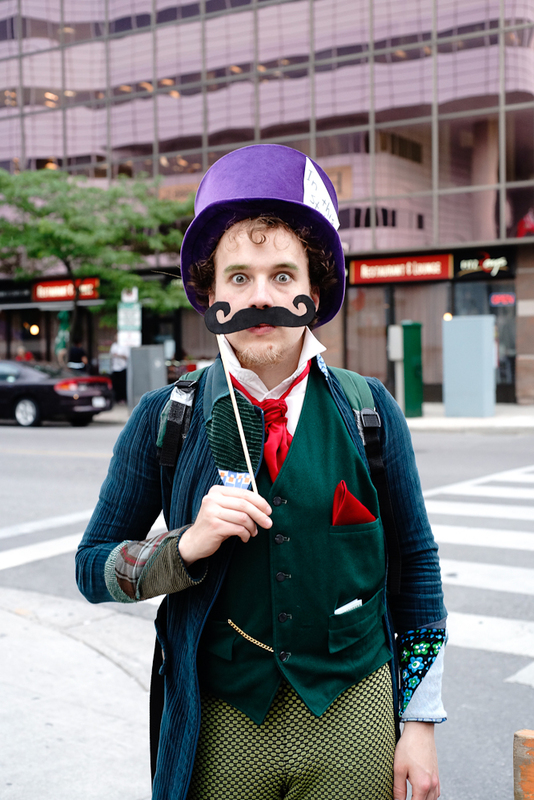 The Hatter returns home… tonight until the 13th! It is hard to find the time and energy to blog between performing, flyering, radio interviews, flyering, promoting, flyering, prepping, seeing shows, and trying to escape the Saskatoon sun! As is, I’m writing this at 3am. That said, I did want to mention that my highly experimental, Sam-Mullins-esque-but-weird personal storytelling show, The Most Honest Man In The World, has received a four star review from the Saskatoon StarPhoenix! And from the reviewer whom other performers had warned me about, no less! For me, the fact that this show works… HUGE confidence boost. One one-man-show (William vs The World), well, that’s an experiment. Two one-man-shows (The Hatter), that could be a coincidence. But to have three now under my belt… that shows that I’m really doing something here. Andrew Wade, who had a Fringe hit last year in The Hatter, bares his soul in this romantic tell-all that spans his childhood, adolescence and early adulthood… The content itself is cleverly arranged… It’s a pretty brave experiment, in both theater and life. If it’s true. He then said that it was this very fact that made my show intriguing. Relatable, I hope. So… I am the 99%? Sure. Let’s go with that. The Hatter is a 4.5/5 star show! Wow! I don’t really have a blog post to go along with this, other than to say that for all we artists aren’t supposed to listen to reviews, it is SO validating to see the work I’ve put into this show over the past couple of months take it from a three star show in London to 4.5/5 stars here in Saskatoon! Actor Andrew Wade shows fantastic range, flipping a switch between wackiness and depression. “Why can’t we let fantastic things be,” he asks in tears. Perhaps because they weren’t meant to last, is the silent reply. I would like to contrast this with the first review I ever received for a fringe show, back in 2011, when I performed William vs. The World at Victoria Fringe, and my only review said that “Even sympathetic narcissists should avoid this show.” Why do I want to contrast it in this way? Because I love the feeling of progress, I suppose. The Hatter began as a cobbled together series of experiments in Vancouver, two years ago, and then went on to London Fringe, where for three of its first four performances, THERE WASN’T A SINGLE PAYING AUDIENCE MEMBER IN THE HOUSE. That’s right, three of my first four performances this summer went to tiny houses of strictly media/volunteers/other-performers, all of whom were watching it for free. And since then I have worked on the show, refined elements of it, added in a scene previously cut, and through Ottawa and Toronto, figured out just what its emotional core, its soul, really is. Financially, in both cities I didn’t quite break even, but the show was progressing. I could feel it. And my pitches on the street were also improving. Not going to lie, I am loving it here in Saskatoon right now. The street festival atmosphere is fantastic, people yell things at me left and right on the street (due to my costume), the locals are lovely, I’ve had many people ask to take photos with me, people are enjoying my show, and now a review that just blows me out of the water. Well played, Saskatoon. Well played. I shall certainly come here again. And I get to enjoy your company for four more performances and seven more days! 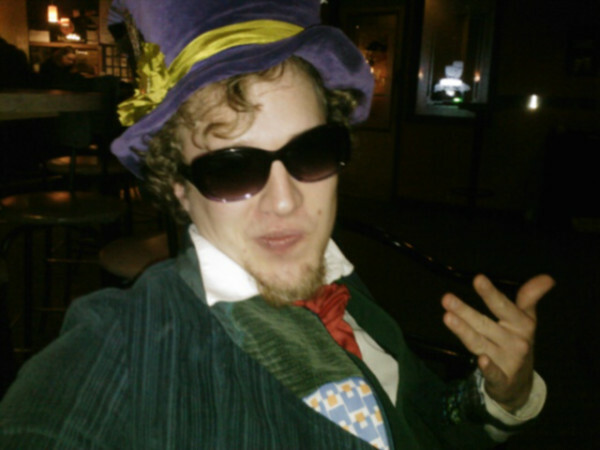 Andrew Wade’s The Hatter – Reviews! Andrew Wade’s The Hatter – More Reviews! The Hatter vs. The Reviews! Wade embodies the character of the Mad Hatter perfectly. He’s high-energy, even with a pretty low-energy audience, he never breaks character, and his impressions of the Caterpillar and the Cheshire Cat from Alice in Wonderland are fantastic. He’s also really wonderful at improvisation. The themes are dark, powerful, and frighteningly mundane. And Josh Chenoweth at Production Ottawa loved the show, but didn’t care for the venue. Widely varying venues is always a danger of Fringe. Despite suffering from an overly large venue, Wade’s heartfelt performance shines through. 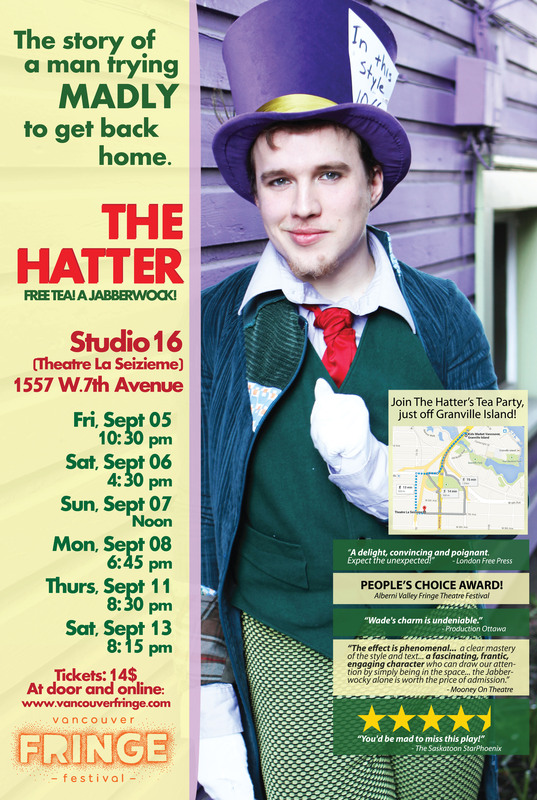 Andrew Wade’s The Hatter takes the titular character… and humanizes him right before the audience’s eyes. From the start, the appreciation Wade has for the character and the source material is very apparent… You honestly feel for him as his sanity begins reconstructing itself. It’s a fun journey and Wade’s charm is undeniable. I look forward to seeing what Toronto and Saskatoon have to say! And now, a quick look at some of the kind comments I’ve received about The Hatter. The Hatter drew an enthusiastic applause at the showcase. Much of the writing is… clever and funny, with a polished, lyrical style. An invitation to sing “A Very Merry UnBirthday”, with words thoughtfully printed out in the Program, was well received by everyone. Story is important to the Hatter. The battle with The Jabberwocky is enjoyable theatre, with very good use of audience participation and well designed costumes and props to enhance the visual effect. The Hatter is an admirable effort and a worthwhile visit inside the mad workings of Wonderland. 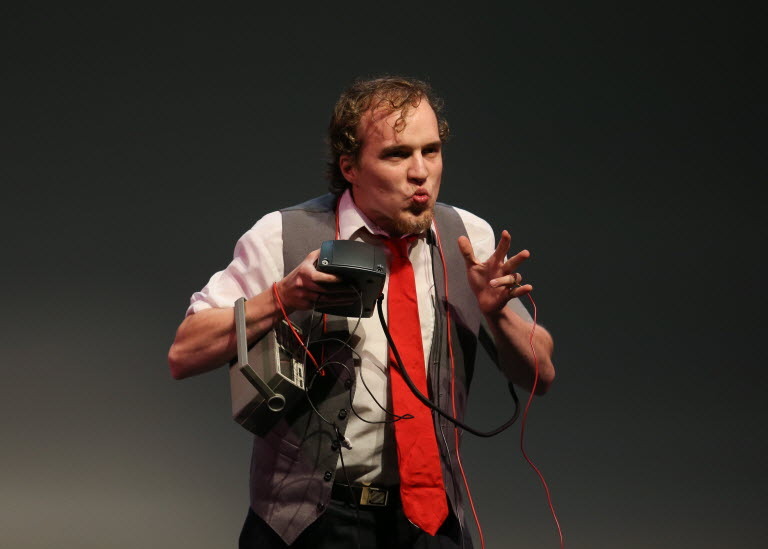 Wade’s performance as the jaded, lonely Hatter is a delight, convincing and poignant, not quite what one would expect, which is perfect for a Fringe festival. The Hatter is a fun show that children might find entertaining, although their parents are sure to feel a little on edge from the tea party upon their arrival through to the opening scene and the show’s poignant conclusion. You quickly learn to expect the unexpected, which can only be attributed to Wade’s fine acting skills. To maintain that tension for 50 minutes is no easy feat. The Hatter is a show well worth catching. At the end there, it really got me in the feels. Hi Andrew or Hatter or Ernest. My boys (one of whom put ketchup in his tea by choice) and I really enjoyed your show at The London Fringe. You have a great voice, a terrific imagination, good tea and hilarious songs. We loved your impromptu song about trying to get elephants to fly. Thank you for the story about the Albatross. It gave me an opportunity to tell my boys about The Rime of the Ancient Mariner. Hope you enjoyed your time here in London and made some good dough. And we hope you continue to act and sing and create. Come back to London next year. Theatre Production 101 – Don’t Do It Alone. Don’t. Seriously. Two reviews, four years too late. About four or so years ago, I took a CD and a chamber play from the box-of-things-to-review in The Martlet’s office with the promise to write up a review and send it in. His emotions are real, raw, and relatable, which is why I keep coming back to these tracks when I need music to share in my darker thoughts. (what takes years to build takes seconds to fall.) 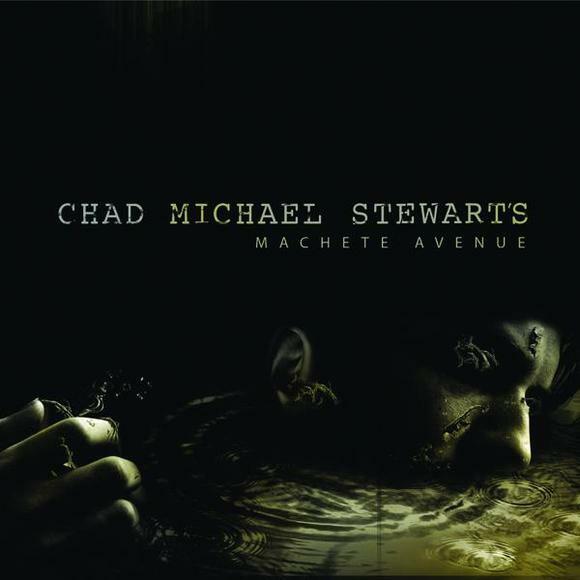 After at least four years, I still listen to this CD. And now I can do so without such a lingering sense of guilt. In my defence, not long after chose this play from the box of items-to-be-reviewed, I was placed in a class with Charles as my professor. Reviewing his work in a campus newspaper seemed to me to be a tactically and tactfully poor choice at the time. But no more! Chamber plays are works written as though for the stage, but which are either intended solely to be read, or are intended to be performed in the sparsest manner, without sets or costumes. 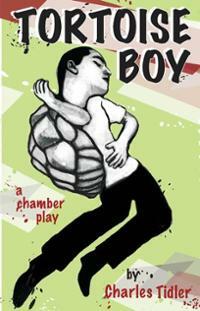 In Tidler’s case, this play takes the form of stories told by the characters, rather than scenes. Within the first fifteen pages we hear innocent voices and dark tales of alcohol and child abuse, murder, and Clifford Olsen. Hints of dialogue litter the pages, with moments of interaction between the characters, but we are never allowed to sit in any present moment or breathe in a scene. Instead, we stay detached, living within the current storyteller’s memories and point of view. Sing me any song you want to sing except the song I cannot hear. Like poetry, the play jumps, flits from moment to emotion to moment, all while forcing us to move at the pace of performance. Does juxtaposing a sad story with a laugh track make it even sadder? The drowned man is the only one still allowed in the pool. Many of his phrases are brilliant, witty, and poetic. The tales the characters tell have the ability to tug on your heartstrings. But it all comes together like a book of short stories – all with the same author, and a similar style. I like the parts, but when the poetry and form separates everything into its own world, a concluding, satisfying sentiment is difficult to find. And now I can clear a corner of my to-do table, and breathe a little more freely.